I think Halloween must be seeping into my subconscious...orange and black? Check. Big witch hat? Check. 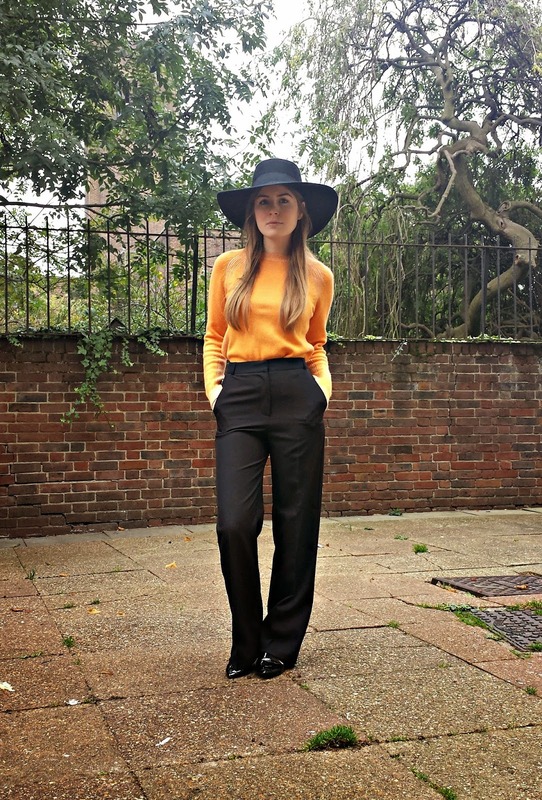 In all seriousness though, I'm loving that 70s is a big trend this season and that big hats and high-waisted, wide-leg trousers are popping up on the high street (perfect for petite girls like me as they give the illusion of longer legs!) By pairing the two with a simple (but oh so soft and cosy) knit, it keeps the look modern whilst still giving a nod to the trend. Yes to this entire outfit! 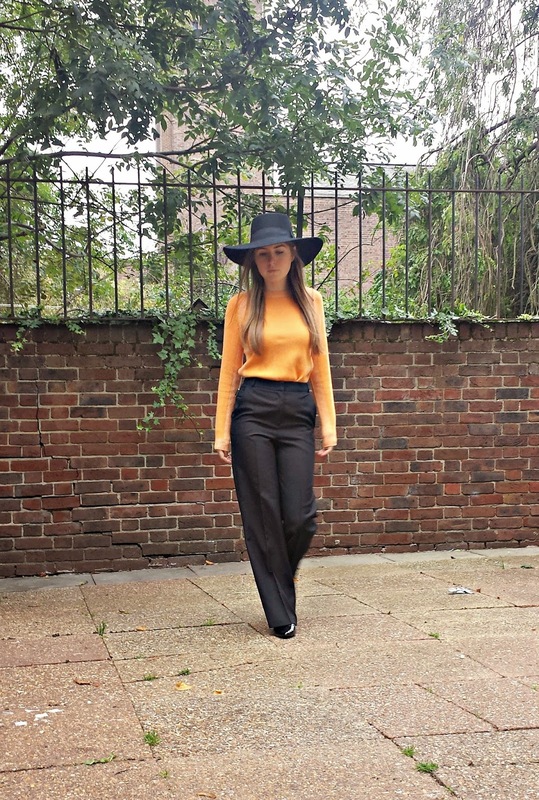 I love the trousers!